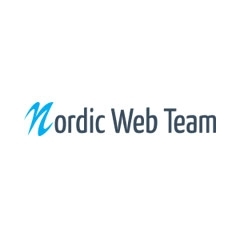 Nordic web Team is a fast growing digital agency focusing on e-commerce. Our company mainly focuses on the Nordic market. We are working with some really amazing clients, lately many on enterprise level. We are a full service agency. The e-commerce projects are built from scratch, from design, development and hosting. We are located in the central area of Kungsholmen with a really sweet office with an awesome sea-view from our balcony and great restaurants nearby. Our culture is casual but driven towards achieving our goals. We believe in our colleagues and give them alot of freedom with their own responsibility. Great designers have the full backing of the company and the power (and great responsibility!) that comes with it. We are also organizing events for people within the industry like Meet Magento Sweden and Meetups, which brings some fresh ideas and a good vibe to the company. The style of management is focused on having a great working environment with healthy working hours & and optional 2 days/month working from home. We also provide benefits like gym membership & trainings. Ideally, we are looking for someone who is passionate about e-commerce, gettings things done and knowledge in and the related areas. We are also open to candidates with no experience from ecommerce, but that has proven results within UX/UI design. Ensure the implemented designs is delivered according to your vision. Nordic Web Team offers professional consulting services within e-commerce. We offer professional solutions within Magento and our goal is to deliver the best solutions for our clients. Nordic Web Team hosts Meet Magento Sweden. In 2017 Nordic Web Team got the Di Gasell award and it changed its status into a Magento Solution Partner. At the moment we have 20 employees and we plan to further grow in quality numbers. At Nordic Web Team we partially automated our own sales of Magento 2 by selling our own Magento products and plugins. For instance, a Dynamics 365 integration to the e-commerce platform it is sold when a customer also provides login information for his own Magento 2 open source installation, and thus Nordic Web Team will get to know new customers and do business without employing more sellers. In Romania, Nordic Web Team started to exist in 2014, and we have the production team comprised of senior front-end developers and senior back-end developers. Whereas in Sweden we have the Project Management team, Sales and Marketing, Support, DevOps and of course a team of developers (front-end and back-end). We are specialized in Magento development. For the past couple of years, we’ve been mostly focused on Magento 2 development, customizations, developing extensions, integrations. We’re proud of all our projects, but I’ll just name a few: koketsfavoriter.se, happygreen.se, dearsam.com, sommarboden.se, gardenstore.se. We are usually working in teams, according to each project’s needs. More often than not these teams consist of one project manager (from Stockholm), one frontend developer and one backend developer (these two can be from the Romanian office, the Swedish office or mixed). We always help our colleagues if, for example, one member of our team has difficulties with an issue. Aside from the Magento 2 Technology Stack Requirements (PHP, Zend Framework, Composer, HTML5, LESS, CSS, jQuery, RequireJS, Apache, Nginx, MySQL, etc) we also use Capistrano an Jenkins for easy deployment on staging and live servers, Git for version control, Gulp and Sass (we like Sass more than LESS), SSH and recently we started learning / testing with NodeJS, ReactJS, Redux and Webpack for Magento PWA.